[toc]Heat rash is a skin problem that does not lead to serious health hazards but is definitely one that brings along a discomfort in the body. In simple terms, it is the rash on the skin that is caused due to heat especially from the sunlight exposure. The rashes are red and brings along a burning and itching sensation. However, rather than adhering to medications that have a lot of side effects, it is best to check out some safe and natural cures. For the comfort of the user, the list below gives some efficient and successful natural treatments that can be used on the heat rash on a regular basis. 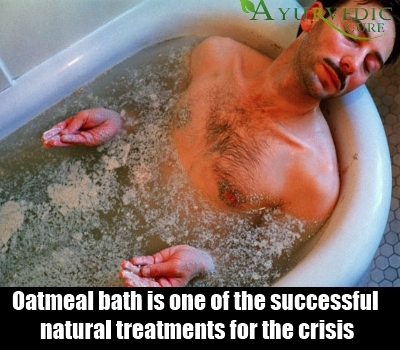 One of the best ways to soothe the skin and help in the treatment of heat rash in a natural way is to adhere to a bath. To this water you can add about a cup of oatmeal. The soothing properties will not only reduce the symptoms but also help in cure of the problem if carried daily till the problem subsides. It is one of the successful natural treatments for the crisis. This is another of the natural products that is known for its soothing properties and for innumerable benefits for the skin. Aloe Vera is one product that is used in almost all kinds of skin problems treatment. To treat the skin heat rash, the same can be used. 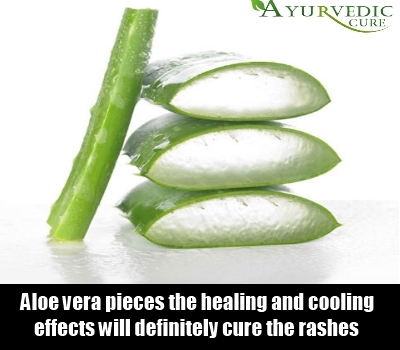 Cut a leaf of Aloe Vera and rub the gel part on the affected areas. This should be followed at least 3 times in a day. The healing and cooling effects will definitely cure the rashes in a couple of days. Water is one of the best cleansing agents not only for the body but also for the hair and the skin. Any skin infections or problems can easily be treated by drinking water that rejuvenates the skin cells, improves the blood circulation and flushes the toxins from the skin surface. All of these benefits will help greatly in the treatment of heat rash. Drink about 10-12 glasses of water each day for maximum benefits. Make sure that the water is plain and filtered. 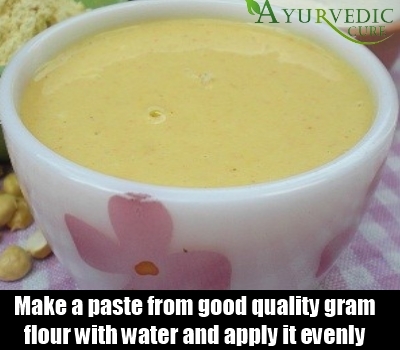 Make a paste from good quality gram flour with water and apply it evenly on the heat rashes. His paste should be rubbed on the skin gently and then left for about 5 minutes to show its effects. This should be washed with cold water. Follow this natural cure daily for perfect outcomes in 3-4 days. It is 100 percent safe and effective on the heat rash. To ensure that the heat rashes do not get worse as well as to trigger the results, one of the best natural cures that can be used is an ice pack. The same can be prepared by taking some ice cubes in a plastic bag and used on the skin for about 10-15 minutes. This should be followed several times in a day at regular intervals of about 3-4 hours each. The compresses will also soothe the skin perfectly and reduce the itching.